"I believe that we must be good stewards of our environment and support many paths to reducing our emission of greenhouse gases, such as more nuclear power and alternative sources of clean energy. As part of our overall effort, I also support a cap and trade system, which has worked well for reduction of sulphur dioxide emissions. However, I do not agree with those who want all allowances to be auctioned off because I believe that will create too great a burden on businesses. The alternative to cap and trade is a carbon tax, which I don't support." We agree completely. 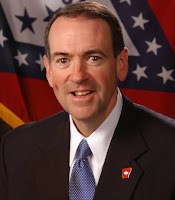 We really like this Huckabee guy. And it doesn't hurt that he loves the Rolling Stones and plays bass. Harlem is the most famous Black community in America but Prince George's County is the richest majority Black county in the country. Harlem has more culture but PG looks better. Harlem has Central Park on its border but PG has the Beltsville Agricultural Research Center (USDA). Harlem has the Hudson River and PG has the Potomac River. Harlem has the Harlem River and PG is near the Anacostia River. Harlem has two sewage treatment plants and PG is near DC's. Harlem's smog is worse than PG's smog. Harlem has a subway but PG does not. Harlem has the Apollo Theatre and PG has Andrews Air Force Base (where Air Force One is parked). Harlem has a MLK Ave and so does PG. Harlem has a Malcolm X Boulevard but PG does not (one close by in DC). Anybody have anything else? Environmental Justice on Wall Street: Subprime Mitigation? Will E. Stanley O'Neal now be made the face of the collapse of the housing market? Will he become Subprime Stanley? It looks like the fix is in. His picture started appearing more and more as it looked like Merrill Lynch might be having some trouble. His picture and articles did not appear nearly as much when he was having great success at Merrill Lynch. Most Americans probably did not even know that one of Wall Street's largest firms was run by an African American. They know now. Now that he is gone. Fannie and Freddie and the Fed wanted to create more home ownership for marginal buyers. Home ownership was sold big time to people who could not afford the mortgages. Now many of those chickens are coming home to roost. Was it a good strategy to try to get low and moderate income people to get the title of 'homeowner?' Idealistically yes. Realistically no. Now the buyers are hurt. The lenders are hurt. Washington Mutual is hurt. Countrywide is not far behind. Fannie and Freddie could be next. But when many say low and moderate income, minorities come to mind for many. And now an African American Wall Street CEO who dabbled in subprime is taking a fall for restating earnings ($7.9 billion write-down for 3rd quarter) and trying to shop an 11th hour deal with Wachovia Bank. Our verdict: No harm no foul. Capitalism tried to expand its base and lost. Many participated and many will lose. Just do not make O'Neal the face of the Subprime mess. Update: Charles Prince, chairman of Citigroup, was fired a week after O'Neal for a third quarter $6.5 billion write-down, did not receive a fraction of the headlines, ink or television coverage that O'Neal did. Live Earth 7707 aimed to have the event and leave a "zero net impact" in terms of generating greenhouse gases (GHG). After the Live Earth concerts, they calculated their estimated gross carbon emissions throughout a ten-month planning and execution process (including the concert day itself) at 19,708 tons. Live Earth is purchasing carbon offsets (greenhouse gas credits) to mitigate the portion of its carbon footprint that could not be avoided by energy reduction. After an 11-week accounting and audit, the Live Earth Carbon Assessment & Footprint Report was published. The report shows you how they did it, what some other events have measured and where they think the industry should be in terms of carbon performance. Human activity-caused global warming skeptic Senator James Inhofe, right, gave a major speech on global warming today on the Senate Floor. Although we disagree with the former chair of the Senate Environment & Public Works Committee on his general position on global warming, we agree with many of his concerns and observations. One particular concern we share in regards to any climate change legislation is the potential effect on the poor. AAEA has developed a program call the Environmental Justice Allowance Reserve (EJAR) to address Senator Inhofe's concerns. These allowances would come from a special reserve, similar to the current Acid Rain Program Renewable Energy and Conservation Reserve, when the initial allowance allocation is made. They would be awarded to utilities, automakers and others that undertake environmental justice practices and programs designed to mitigate or reduce price shocks, increase the installation of pollution control equipment, promote community education and enhance health-related activities. Utilities and automakers could choose to work with organizations and businesses that conduct environmental justice activities related to climate change mitigation and reductions in emissions of sulfur dioxide, nitrogen oxides and mercury. What few Americans realize is that the impact of these policies would not be evenly distributed. The Congressional Budget Office recently looked at the approach taken by most global warming proposals in Congress - known as cap and trade - that would place a cap on carbon emissions, allocate how much everyone could emit, and then let them trade those emissions. Let me quote from the CBO report: "Regardless of how the allowances were distributed, most of the cost of meeting a cap on CO2 emissions would be borne by consumers, who would face persistently higher prices for products such as electricity and gasoline. Those price increases would be regressive in that poorer households would bear a larger burden relative to their income than wealthier households would." Think about that. Even relatively modest bills would put enormous burdens on the poor. The poor already face energy costs much higher as a percentage of their income than wealthier Americans. While most Americans spend about 4 percent of their monthly budget on heating their homes or other energy needs, the poorest fifth of Americans spend 19 percent of their budget on energy. Why would we adopt policies which disproportionately force the poor and working class to shoulder the heaviest burdens through even higher energy costs? Where is a taser when you need one? Note how cool Secretary of State Condoleezza Rice was when the nut case approached her with red paint on her hands. Condi looked at her like "I will kick your ***. Sorry folks, this aint exactly environmental but it does seem as though the antisocial environment is heating up. Bill Maher on the other end of the spectrum was harassed by nut case so called 911 Truthers on last Friday's show. Bill literally leaped out of his chair and jumped down into the audience to help throw out a heckler. Our president was recently disrespected by a some eco hillbillies who want to close all coal plants. We think it is taser time. And when the nut case screams, "Don't tase me bro," he or she should be tasered again. Now our president was respectful when he met Secretary Rice at the Climate Summit. America is playing around with vehicles, oil, moonshine and climate change. Federal car gasoline economy standards are 27.5 miles per gallon and the current energy bill wants to raise that to about 36 mpg. Will not happen. John Dingell is Chairman of the powerful House Energy & Commerce Committee and he believes increased standards will hurt Detroit. And he represents Detroit. Hybrids still use gasoline so such vehicles will reduce but will not eliminate carbon dioxide and smog forming emissions. All electrics still have lithium ion battery technology hurdles to overcome before becoming commonly available. The batteries do not like heat. Think laptops spontaneously combusting around heat. And ethanol will create more smog because it produces more nitrogen oxides, a component of smog. The 10 percent ethanol additive decreases mileage by about 3% according to some estimates. Congress wants to use the current energy bill to increase the 2005 Energy Policy Act requirement of 7.5 billion gallons of ethanol as the oxygenate additive to 36 billion gallons by 2022. There is also a 54 cent per gallon tariff on imported ethanol to protect domestic ethanol profits. Ethanol is also suffering from overproduction, which has led to a glut and low prices at the same time ethanol refiners are paying more for corn to produce ethanol. Yet none of these measures will significantly reduce global warming, our dependence on imported oil or smog. And we hate sounding like gloom and doom deep ecology eco extremists. But we thought you should know. President Bush toured the devastation in Southern California where he had already declared the situation a federal disaster, making the state eligible for federal assistance. He joined Governor Arnold Schwarzenegger and Senator Diane Feinstein for the tour of the fire disaster area. 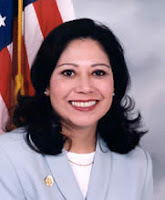 This situation is in stark contrast to the enmity between Louisiana Governor Kathleen Blanco, who created the delay in the federal response to the Katrina disaster. President Bush praised Gov Schwarzenegger for his quick response and organized approach to the disaster. And to think that Gov Schwarzenegger sued the Bush Administration this week over the federal governments delay in approving California's greenhouse gas regulations. California is suing the Bush administration over delays in their request to implement a program to limit auto carbon dioxide emissions, which are linked to global warming. 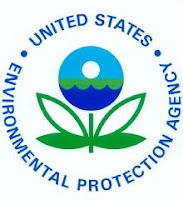 California asked the Environmental Protection Agency (EPA) in December 2005 for permission to enforce the California law. The EPA's approval is needed for California to implement a law more stringent than federal clean-air standards, and the agency has granted every such request California has made over the past 30 years. In April the U.S. Supreme Court, in a suit filed by California and other states against the EPA, ruled that carbon dioxide can be regulated by EPA." The current California suit was filed in a Washington, D.C. federal court. Imagine that: State Attorney General Jerry Brown and Governor Arnold Schwarzenegger teaming to fight President Bush. EPA is reviewing more than 100,000 written responses and thousands of pages of documents it received during the public comment period and publicly states that it will act on the request by the end of the year. Anderson Cooper, below, is hosting a two-part, four hour documentary on our planet's environment. He is mainly covering four broad issues: 1) climate change, 2) vanishing natural habitats, 3) disappearing species and 4) human overpopulation. The documentary, called "Planet in Peril" is airing at the same time as the catastrophic wildfires in Southern California. We guess Anderson taped some studio footage for the documentary and then flew out to cover the fires. Southern California is in real peril right now because a million of people have been evacuated and about 2,000 homes lost. This is CNN's first high def production. Dr. Sanjay Gupta joins Anderson as a correspondent for the documentary. We would like to produce one of these documentaries. We would do it just a little bit differently from this traditional format. Oh oh. At the end of the endangered species and polluted China segments, Cooper's blood test for various heavy metals showed that he has an elevated level (above 95th percentile) of Phthalates (compound in make-up & other cosmetics). And this description of the compound from Wiki: They are chiefly used to turn polyvinyl chloride from a hard plastic into a flexible plastic. Yikes. Coop. Go natural. Although it was played down on the show, we bet performers everywhere will now look more carefully into the makeup they are using. We know Coop will. Hundreds of thousands of people have evacuated their homes. Hundreds of miles of land have been scorched. Thousands of homes have been destroyed. 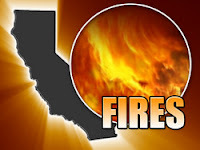 The flames are burning up a good part of Southern California. It is clearly a disaster area and has been declared so by the State and the Fed. Our prayers go out to all of the people affected by the wildfires in Southern California. We are also very concerned about people with asthma, emphysema, heart disease and other medical conditions. The soot, gases and dust will exacerbate any medical problem if inhaled. We hope all with medical conditions will seek shelter or even better, get out of the area if they can. Even healthy people can be sickened by the toxic air being produced by the fires. Again, if at all possible, try to leave the area until the air clears. And a surgical mask will do virtually nothing to protect you from the toxic air mixture. We were concerned that EPA's new blog did not have a comment feature under each article. They simply had a general comment link over in the left hand column that did not relate to the specific articles. "EPA should really put a Comment link under each article. It is not really a blog without this feature. We know it is a lot more work to screen ALL the comments you would get, but it would be worth it. The State Department seems to handle comments okay. Please, please, please, as James Brown would say, add a Comment feature under each article." 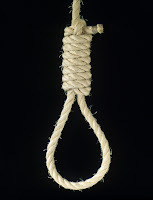 "A new moderated comment feature will be added as of November 1, 2007.Thank you for your interest in Deputy Administrator Peacock's blog." By Norris McDonald. We are curently examining a process that would convert carbon dioxide into diesel fuel and gasoline, while producing hydrogen for fuel cell production. We are looking into combining nuclear plants with coal plants that would use pure oxygen combustion in the firebox to reduce the volume of stack gases. A scrubber would still be needed for sulfur dioxide, nitrogen oxides and mercury (Selective Catalytic Reducer). The nuclear plant (Pebble Bed Modular Reactor, Gen IV) is used to produce hydrogen via electrolysis (or high temperature electrolysis) or the sulfur-iodine cycle that will be piped away to produce fuel cells. The oxygen from the electrolysis process will be piped to the coal plant for use in the firebox. The hydrogen will also be mixed onsite with carbon dioxide from the coal plant stack in a water to gas shift to produce carbon monoxide, which will then be mixed with hydrogen using the gas to water shift in the Fischer-Tropsch process to produce a synthetic petroleum product (diesel fuel or gasoline). These processes need very high temperatures of about 900 degrees Celsius. AAEA President Norris McDonald met with Bill Briggs, left, EPA's new Director of the Office of Public Outreach to discuss local, regional, national and international environmental issues. EPA's Office of Public Outreach establishes and maintains close working relationships with a broad range of public-and private - sector organizations to anticipate and address stakeholder concerns regarding agency and environmental matters; keep senior EPA officials apprised of stakeholder needs, perspectives, and issues; promote and support stakeholder involvement and public participation in agency decision making; and identify opportunities for public/private partnerships. The Office of Public Outreach is in the Office of the Administrator and serves as the Agency-wide point of contact for the planning, development, and review of all Agency print and electronic products intended for the public. Although AAEA is pronuclear and we disagree with the message of the video, we also recognize that they are including African American voices in their message. This is quite unusual for the antinuclear and environmental movements because they are some of the most segregated and narrow-minded sectors in American society. Thus, we have to conclude that Bonnie Raitt probably had a lot to do with their participation and not the green antinukers. Bonnie is really cool and we really like her. Interesting note: our president met Bonnie Rait in 1982 after one of her antinuclear charity concerts. 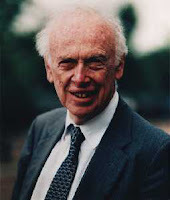 Supremacist scientist James Watson, left, has made news by sharing his view that Blacks are not as smart as Whites. WOW. Now this is news. We are shocked that a supremacist DNA scientist would think something like this. Simply shocked. And was what he said so bad? He said, he "hopes that various races have equal intelligence, [but] people who have to deal with black employees find this is not true." Maybe the man has struck on something here. Is this why there is employment discrimination? 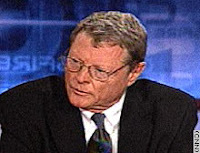 Hell this ugly old man could lead the environmental movement. 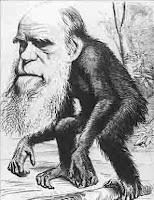 His messiah (Darwin Monkey) is pictured at right. Israel's neighbors from Syria to Iran seem determined to build a nuclear facility to produce nuclear weapons. Israel is just as determined to prevent them from constructing these facilities. While the U.S. gnashes its teeth about these facilities, Israel bombs first and doesn't ask any questions later. The Israeli air raid in September was to destroy a partly constructed Syrian reactor that appeared to be based on North Korea's design. Clearly we are entering a dangerous period in human history when Middle Eastern countries are working so diligently to arm themselves with nuclear weapons. Nuclear reactors can be used for both peaceful and non-peaceful purposes. There are two paths to building a nuclear weapon, 1) A reactor's spent fuel can be reprocessed to extract plutonium, 2) enriching uranium in centrifuges. The Syrians were pursuing the former and Iran is being accused of pursuing the latter. Israel conducted a similar raid in 1981 when it destroyed the Osirak nuclear reactor in Iraq shortly before it was to have begun operating. Syria is a signatory to the Nuclear Nonproliferation Treaty, which gives it the right to construct nuclear plants to produce electricity. This incident, along with the saber rattling about an Iranian centrifuge/reactor shows the importance of establishing an international program (GNEP) to manage nuclear fuel without the prospect of building nuclear weapons. Unless the rogue nations can somehow construct such a facility in complete secrecy (think Manhattan Project), they will always be destroyed by a stakeholder country. "What do evangelical Christians see as the top issues that our nation must get right in the coming decade? If you listened to the media you would be inclined to believe it was creating more government programs, which are supposed to help the poor, expand government education or to adopt radical policies to fight global warming. But if you actually listen to evangelicals you will find a much different answer. That is what George Barna did in his most recent survey of Americans. 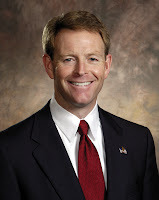 While Americans as a whole identified the overall care and resources devoted to children as the number one issue, which is laudable, the number one issue for evangelicals was improving the health of Christian churches followed by upgrading the state of marriage and families, and improving the spiritual condition of the U.S. Last on their list is the environment. So much for the global warming hype. Despite what the media may want to project upon evangelicals, they understand that if we, as a nation, get the spiritual issues right and build strong marriages and families - most of the other problems will be solved in the process." AAEA has to respectfully disagree with Mr. Perkins about the role of government in addressing climate change. Although we do agree that an inappropriate program could be ineffective in mitigating climate change and global warming, an appropriate program could be very successful. Such a program would have to have the market as the prime mover and the government as more of a referee. A command and control program will probably fail. The Acid Rain Program is a good example of how government can operate a successful environmental program. Industry, environmentalists, government agencies and just about everybody else agrees that the ARP was successful. Thus, it is a good model for a global warming and climate mitigation program. Such a cap and trade system will tap into private sector ingenuity while avoiding the litigious landmines of a command and control program. The Cape Cod Commission voted on Oct 18th to deny a buried electric cable for the Cape Wind project that would run from the wind turbines to the shore. Now the project developers are considering circumventing the commission by going to the Massachusetts Energy Facilities Siting Board (EFSB), which has the authority to override the Cape Cod Commission. The commission claimed that Cape Wind provided insufficient information about the cable. Iran poses a threat to Israel and climate change mitigation by using its commercial nuclear power program as a cover for its nuclear weapons ambition. Iran's marriage of nuclear power and nuclear weapons could cloud renewed interest in building new nuclear power plants around the world. The nuclear industry is just starting to shed the negative association that nuclear weapons have on the development of commercial nuclear power. Russia is building a nuclear power plant at Bushehr, in southern Iran and Moscow has proposed to enrich uranium in Russia for use in Iranian reactors, assuring that Iran would not produce the highly enriched uranium needed for nuclear weapons. Tehran has rejected this proposal stating that it would infringe on its sovereignty. The U.S. is developing a program called the Global Nuclear Energy Partnership (GNEP) that is similar to Russia's proposal. AAEA supports the GNEP program and believes it is a fast track platform for safely expanding nuclear power plant use around the world. 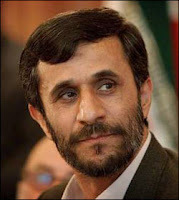 Mahmoud Ahmadinejad, upper left, has publicly stated that Israel “will disappear soon,” and President Bush has publicly stated that such a notion could lead to World War III. Russian President Vladimir Putin has been negotiating with Iran's supreme leader Ayatollah Ali Khamenei, upper right, in an effort to convince Tehran to adopt his proposal. 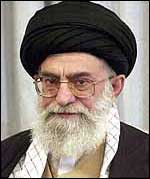 If Iran is dedicated to acquiring nuclear weapons it will lead to a military response from the West. Iran should seek peace in the Middle East, abandon its goal of eliminating Israel and join in a GNEP program to utilize the great energy and clean air benefits of nuclear power. AAEA is also uncompromisingly supportive of the State of Israel and we are working hard to mitigate climate change and global warming. Alan Keyes is running for president as a Republican. 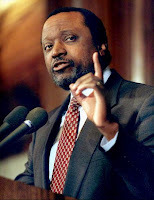 Alan Keyes is the purest conservative candidate in the Republican Party running for president. He is also Black so he gets no traction because the GOP is still much more hostile to Blacks than the mule party. In fact, it appears that there is an effort to exclude him from the debates. But we digress. "I share the conviction of many that the earth is the Lord's and that we as God's stewards must care for its well being. However, translating this weighty obligation into good public policy is no simple task. We should avoid the temptation of assuming, without further ado, that if it is our duty to care about something, we must necessarily put that something under government control." Keyes goes on to say, "Even if global warming turns out to be a real problem, the Kyoto Protocol would be the wrong solution." He continues, "On the specific issue of global warming, I am impressed by a variety of empirical evidence that suggests we have little or nothing to fear...I conclude that the climate system is probably much less "sensitive" to "greenhouse forcing" than the climate models assume." We could find no position from Alan Keyes on nuclear power, but we will assume that he is pronuclear, mostly because it is a pure solution to global warming without the need for direct government management. Thus, although he is a global warming skeptic, he is good on the issue because (we assume) he supports nuclear power. Nuclear power, combined with plug-in fuel cell hybrid vehicles, are the best short term solutions to mitigating global warming and climate change. The Senate and House have approved the Green Jobs Act of 2007 (H.R. 2847), which authorizes $125 million annually for greening the nation's workforce by providing job training for 35,000 people every year. The legislation was introduced by Congresswoman Hilda Solis (D-CA), right, and John Tierney (D-MA) in the House and Bernie Sanders (I-VT) and Hillary Clinton (D-NY), left, in the Senate. The Energy Bill is languishing in Congress and President Bush has threatened to veto the bill if passed in its current form because of some bad provisions in the larger bill. AAEA supports the overall bill and the Green Jobs Act but also opposes the same provisions opposed by the Bush Administration, including 1) language that would allow antitrust lawsuits to be filed against OPEC-member nations, 2) Renewable Portfolio Standard (RPS) to require all American utility companies to generate 15% of their energy from renewable sources by the year 2020, 3) repeal roughly $16 billion in tax breaks for the oil industry enacted in 2005. A coalition called Green For All has been instrumental in pushing the legislation. The coalition says it is committed to securing one billion dollars by 2012 to create “green pathways out of poverty” for 250,000 people in the United States, by greatly expanding federal government and private sector commitments to “green-collar” jobs. 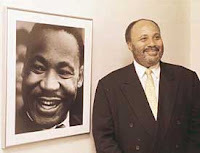 Martin Luther King III and others will appear before Chairman Edward J. Markey (D-Mass.) and the Select Committee on Energy Independence and Global Warming to discuss how the impacts of global warming and oil dependence hit hardest on America and the world's most vulnerable communities. Many of the world's poorest communities are also the ones most in danger from these twin challenges. Whether it is geographic location in low-lying areas, or rough economic conditions made even worse by unstable or high energy prices, or the severe health effects of a warming earth, global warming and oil dependence hit these communities hard. Witnesses will discuss these challenges, as well as the solutions available to these problems. WHAT: Select Committee hearing: "Energy and Global Warming Solutions for Vulnerable Communities. WHO: Mr. Martin Luther King III, C.E.O, Realizing the Dream, Inc.
1) to deliver environmental information and services directly into communities. 2) to clean up neighborhoods by implementing toxics education, energy, water and clean air programs. 3) include an African American point of view in environmental policy decision-making. 4) resolve environmental racism and injustice issues through the application of practical environmental solutions. We are one of the nation's oldest African American-led environmental organizations and we welcome all races interested in working for improvements in the African American community. The Washington Bar Association is hosting its Annual Ollie May Cooper Award Presentation and Founders' Lecture Series on Thursday, October 18, 2007 at 7:00 p.m. in the Moot Courtroom on the campus of Howard University School of Law located at 2900 Van Ness Street, N.W., Washington, DC. This year's Ollie May Cooper honoree is Donald M. Temple, Esq., right, community activist, civil rights attorney and founder of the Charles Hamilton Houston Legal Education Institute and The Temple Law Offices. This promises to be a fabulous evening of social and intellectual consumption and it is an opportunity to learn from and network with some of the powerhouses in the District's legal community. The events of the evening will culminate with a reception in the Law School's Holy Cross Foyer. Donald Temple is a long time Friend of AAEA and has participated in our diversity outreach activities. Councilmember Marion Barry and Councilmember Yvette Alexander, above, convened the inaugural meeting of the Poplar Point Coalition at Matthew Memorial Baptist Church on a beautiful Saturday Oct 13th morning to support Victor MacFarlane's plans to build a soccer stadium and mixed use retail/commercial/residential development project. About 300 people jammed the church basement area and feasted on a complimentary breakfast provided by the Anacostia Coordinating Council. There was an invocation by Rev George Holmes and welcome by Dr. C. Matthew Hudson, Jr. Councilmember Marion Barry (Ward 8) gave a presentation on the background of the planned development at Poplar Point and Councilmember Yvette Alexamder (Ward 7) shared remarks with the attendees. Former Mayor Barry also fielded questions from the attendees and the press. AAEA attended the meeting, joined the coalition and supports Victor MacFarlane's plans for developing Poplar Point. 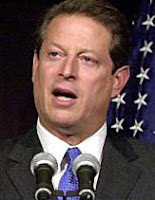 Gore, 59 will donate his half of the approximately $1.5 million award to the Alliance for Climate Protection, a nonprofit he chairs that works to educate the public about climate change and mobilize global support for action. A Web site, http://draftgore.com/, is collecting signatures encouraging him to vie for the Democratic nomination. We have been very critical of Mr. Gore because he did not advocate for climate change mitigation while he was vice president for eight years. We now surrender and acknowledge his unique and important leadership on this issue since he left office. The book, movie, Live Earth worldwide concerts, Academy Award and now the Nobel Prize; well, who are we to complain. Congratulations Mr. Gore. You have our respect. The Center for Environment, Commerce & Energy (CECE) is promoting a carbon dioxide offset program that is based on alternative and renewable power as the emission free source of the credits. Click on the penguin above for more information about our Carbon Mercantile Exchange (CMX). The Center for Environment, Commerce & Energy (CECE) is promoting a carbon dioxide offset program that is based on nuclear power as the emission free source of the credits. Click on the penguin above for more information on our Green Carbon Bank (GCB). We do not have anything against White men at AAEA. In fact many of our members are White men. But the GOP presidential contest organizers seem to have something against everybody except White men. 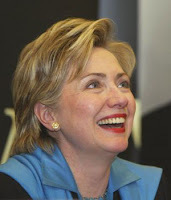 The GOP contest is composed of nine White men while the Democratic Party presidential contestants include a Black man, Spanish American man and a woman. The two parties are clear about who they want to participate in their respective quests for the highest office in the land. Now the GOP could make a case for arbitrary circumstances except for two glaring items: 1) Alan Keyes is being excluded from the field (no pun upended) and 2) The leading GOP candidates skipped the 'Black Issues Debate' sponsored at Morgan State University by Tavis Smiley and a Spanish American debate. Alan Keyes is arguably the most 'articulate' conservative spokesman in the country. The GOP did allow him to participate in the 'Black Issues Debate.' What? He's good enough for the 'Black Issues Debate' but not the 'White Men' debates? Many in America still want to marginalize or ignore Blacks and the Black community. Regardless, the Black community is as American as apple pie. Update (10-29-07) Mr. O'Neal has agreed to a retirement package from the board. He had a very good run but the downturn in the market seems to have caught up with him. We could use your help Mr. O'Neal. Although Blacks do not own any* energy infrastructure in the United States, one runs a firm where the energy boys get their money. E. Stanley O'Neal is Chairman, President and Chief Executive Officer of Merrill Lynch, America's #1 stock-brokerage firm and one of the world's leading personal and institutional financial management and advisory firms with offices in 35 countries and total client assets of $1.5 trillion. We wonder if he has any ideas for creating more African American ownership of energy companies. 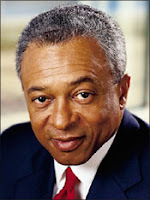 Before joining Merrill Lynch, Mr. O'Neal, 56, was employed at General Motors Corporation in New York and Madrid. He held a number of financial positions at the company, including general assistant treasurer in New York, responsible for mergers, acquisitions, and domestic financing activities. A resident of New York City, Mr. O'Neal received a master's of business administration with distinction in Finance from Harvard University. He is married with two children. * There is one offshore oil exploration company in the U.S. owned and operated by a Nigerian. 1) Using $150 billion from the sale of allowances to stimulate climate-friendly energy and economic development, including developing the next generation of biofuels and fuel delivery infrastructure. 2) Accelerating commercial production of plug-in hybrid vehicles. 3) Promoting larger-scale renewable energy projects and low-emission coal plants. 4) Making the electricity grid digital. 5) Making government, businesses and homes 50 percent more energy efficient by 2030. 6) Making all federal government buildings carbon neutral by 2025. AAEA was years ahead (2001) of everybody except the nuclear industry in promoting a comeback for nuclear power plants. Now that global warming concerns have shifted nuclear power back into our energy future, the only real concern seems to be the cost of future plants. And we must admit that it is a very big decision for utility executives. The Washington Post has an extensive article about the financial requirements for a nuclear power plant comeback. We submit that if global warming and climate change are the most important environmental issues facing us today, then America needs to be willing to make the financial commitment to construct electricity generating plants that do not contribute any global warming or smog forming gases. Wall Street must step up to the plate and play ball. Utility companies must be brave and do what must be done to get these plants built. Calling for cap and trade, carbon dioxide taxes and international protocols are empty if metal and concrete aren't being utilized. President Bush, Wall Street, utility companies, international climate change institutions, and other countries must cooperate to accelerate this nuclear comeback. If AAEA could see it years before anyone else, clearly powerful interests should be able to come together to mitigate global warming and climate change. Sonja Ebron, right, CEO of blackEnergy, was honored with the 2007 "Non-Traditional Business Enterprise" award by the Atlanta Business League at its 23rd Annual Conference on September 25, 2007. The conference is the ABL's signature event, designed to recognize and celebrate African American business women. 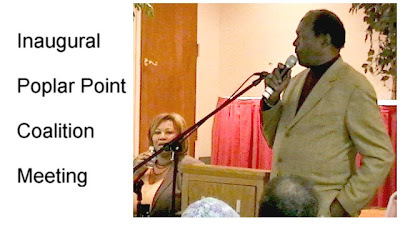 The name of the article authored by AAEA President Norris McDonald is "Indian Point's Gift To Greens," and it makes the case for renewing the license for the facility.